“Building” evokes images of stacking blocks into tall towers or rearranging Legos to create homes for small toys. At LEAP, we love introducing different materials to our building station. You’ll see many of the beloved classics – foam blocks, wooden blocks, tree cookies – but you’ll also see unique materials like spiky sensory toys or strands of textured fabrics. We aim to provide open-ended materials that encourage toddlers to play creatively. Our fort station also invites toddlers and their families to explore adding to or changing the environment. Building is loads of fun and it also provides numerous benefits for your little one. Check them out below! Open-ended building materials require little to no instruction. We try to use these at LEAP whenever possible. You may see tree cookies, toilet paper tubes, foam blocks, or spiky sensory shapes. There’s no right or wrong way to use these materials. Watch as your toddler’s imagination runs wild! Blocks go up and blocks come down! Some toddlers enjoy the process of stacking as high as possible before a topple. Other little ones build something quickly so they can enjoy knocking it over. 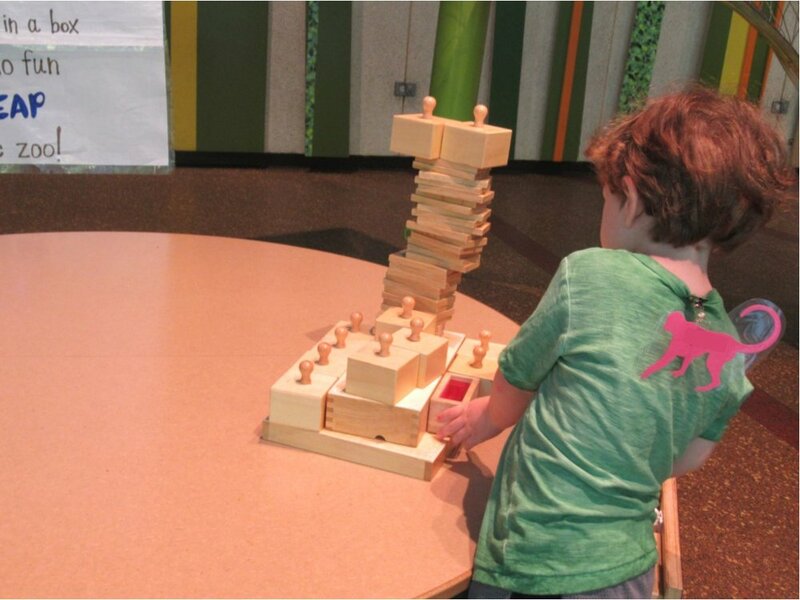 Building engages spatial awareness and increases the understanding of cause and effect—both important concepts for logical reasoning! Regardless of materials, building provides children with opportunities to develop problem solving skills. Sometimes it may be intentional—”I want to build a house. How can I do that?” Sometimes it appears in the moment—”I want my tower to be taller. What can I add?” Building play creates an environment to think of solutions and test them out. It’s a perfect time to realize that mistakes can be made! 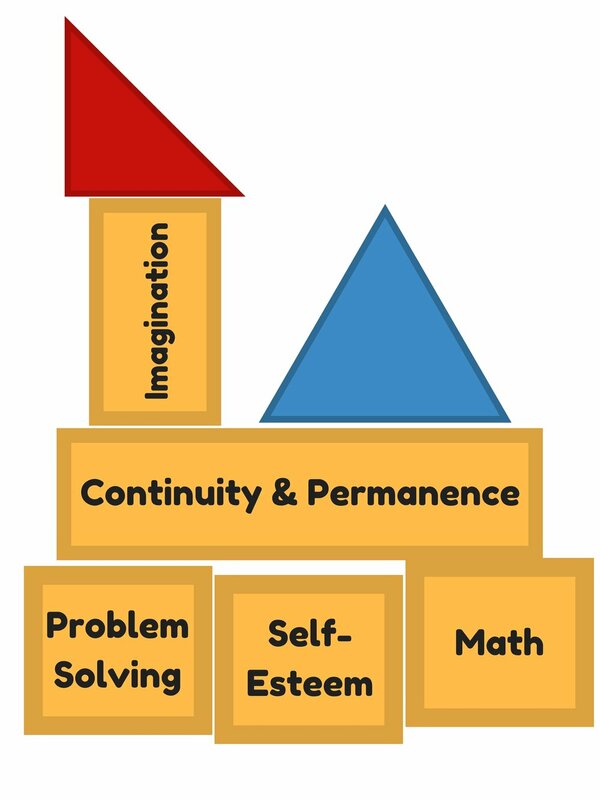 Building offers opportunities for children to discover that they have ideas and that they can bring their ideas to life by creating, transforming, demolishing, and re-creating something unique. During building time, toddlers can express their creativity. Their creations can be whatever they imagine, whether it’s a castle, maze, or animal home! Building offers easy introduction of foundational mathematical concepts, like length, symmetry, comparison, sequence, numbers, estimation, and balance. The best part? Your toddler is learning without even knowing it. Don’t worry about quizzing. Simply enjoy playing and the knowledge will follow! Next time you visit LEAP, swing by our building station. It’s a hidden gem that is often not crowded. See if you can see some of the above mentioned benefits in action!